Today we’ve got a great new theme for you as the last of the theme a day run that’s been going on this week. We’d like to introduce Business Services. Business Services is all about showing your content no matter if it’s services, products or just great writing. Business Services is all about getting your message out there. It goes beyond just simply displaying your content though as it has feature areas, adverts and tons more. 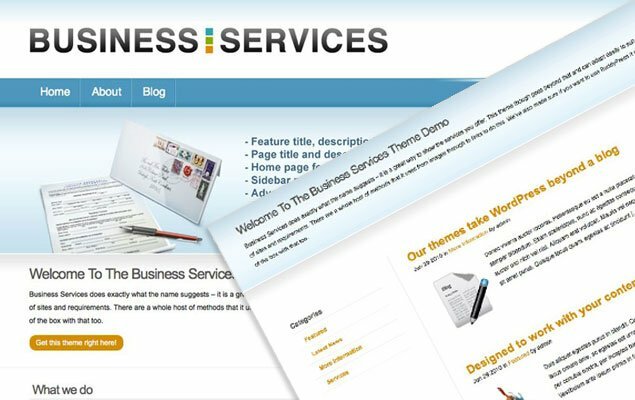 Business Services is based on the design of wp.mu and focuses on adverts and featuring services. Sidebar news – set a category, number of posts and title – shows the images automatically for those posts. What about what the BuddyPress activity stream and the blog archive look like? There truly never has been a better time to become a member of WPMU DEV with such great themes and so many new releases.